A crowd of angry Philadelphia residents gathered around the scene of a crash Wednesday afternoon, claiming officers roughed up a man and a pregnant woman following a police chase. Police officers were responding to a burglary in progress in the Hunting Park section of the city shortly before 2 p.m. Police say they spotted a man on a bicycle who fit the description of the burglary suspect. When the officers tried to pull him over, the man, identified as Juan Mario Lugo, allegedly fled on his bike and the officers pursued in their police cruiser. Law enforcement sources claim Lugo was high on PCP at the time. The chase came to an end when the police cruiser struck Lugo's bike as well as a porch of a home on 5th and Lycoming Streets. Witnesses claim that the officers tried to cut Lugo off but instead ran him down. "They were chasing him," said the suspect's father, Robert Lugo. "They didn't have to run him over with the car." The suspect's 11-year-old son, Juan Mario Lugo Jr., says he watched the entire crash as it happened. "I saw him, he was on the sidewalk," the boy said while on the verge of tears. "I can't say it." Witnesses say two women, including Laura Montalvo, were working nearby the scene of the accident and rushed to help Lugo. Responding officers told them to move back, however, as a larger crowd gathered. Witnesses say the officers then grabbed Montalvo, who is four months pregnant, and roughed her up because she got too close to the crime scene. "The one female cop grabbed me by my hair and that's when she started hitting me, so I'm trying to push her off me and everybody was saying that I was pregnant. The one guy cop was like, he didn't care," said Montalvo. 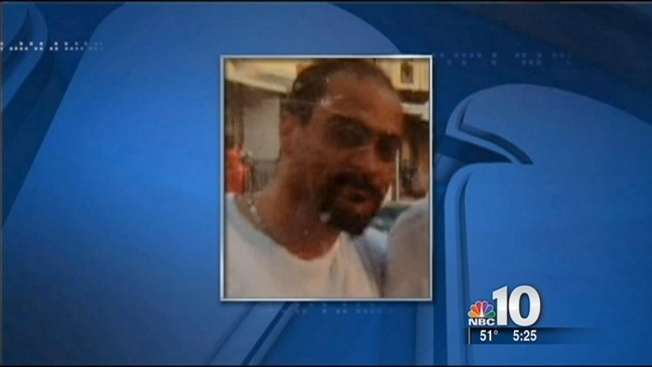 A viewer sent NBC10 Philadelphia a cell phone video which she claimed captured the officers roughing Montalvo up. The video doesn't make it clear who exactly the officers are struggling with however. Ivonne Torres tells NBC10 she was there as well and tried to intervene. "All I did was stick out my hand, that's all I did. Just to let them know that she was pregnant," said Torres. Montalvo and Torres were cited for provoking the crowd. They were later released from police custody. The two officers who initially chased after Lugo suffered minor injuries in the crash. The witnesses claim the responding officers also roughed Lugo up after the accident. They claim that while Lugo suffered more severe injuries than the two officers, he was thrown into the back of a police car while the officers were transported to the hospital via ambulance. Lugo was eventually taken to a hospital and treated for his injuries. He was released Wednesday night and has not been charged. Officials with internal affairs are currently investigating the incident and will decide if the officers involved should be disciplined.